Although it is clear that human centricity stands to greatly improve the quality of the human experience in healthcare, organizations adopting this approach often do not realize short-term and direct financial returns correlating to their activities. In the absence of clear, near-term financial business wins, human centricity can sometimes be a difficult idea to sell. Nevertheless, champions from across the industry are starting to see results. With a focus on the longer-term, strategic value of human centricity, business leaders are transforming their organizations, allowing them to stay relevant in a rapidly evolving industry. Business leaders desiring a human-centric transformation should identify specific areas of focus to help align business activities and measure impact. The following points illustrate six wins attainable through a human-centered approach. Each one brings gains on both the financial and social-impact dimensions. The burden of medication non-adherence is a long-standing, global problem that healthcare organizations are eager to solve. In 2012, non-adherence cost the U.S. healthcare system $290 billion in excess healthcare spending, and it continues to cost pharmaceutical companies tens of billions of dollars each year in unrealized revenue. Non-adherence drives increased use of medical resources, such as physician visits, tests, unnecessary treatments, emergency department visits, and hospital admissions. It may also result in treatment failure when medications are not taken as recommended or for their full course. Far too often, our understanding of the causes for medication non-adherence is too simplistic. We sum up non-adherence as a patient’s inability to understand or follow their physician’s orders. In some cases this is true, but there are also many complex emotional, social, and environmental factors that influence a patient’s intentional or unintentional non-adherent behaviour. Too often, solutions over-emphasize information delivery as a panacea. The implicit assumption is “tell people something, and they will act accordingly and rationally.” In reality, however, behaviour change is far more complex. Effective behaviour-change interventions must take a human-centric approach. 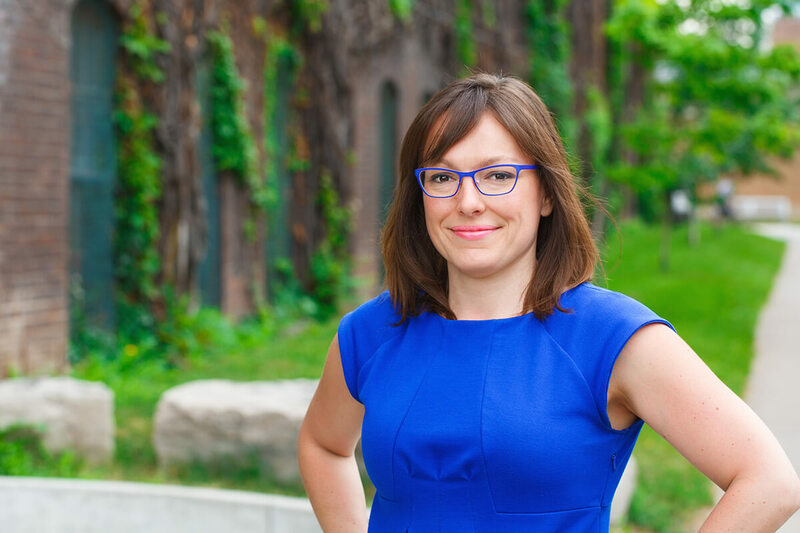 They must consider the systemic and institutional challenges that patients face in their care, such as accessing services and interacting with healthcare providers. They must also acknowledge the cultural and social perceptions of health, emotional challenges, and the progression of the disease itself. Solutions should therefore also consider how a patient’s ability to engage with, understand and internalize information will impact their ability to act. One of our past projects at Bridgeable focused on a therapy to prevent bone fracture and pain in metastatic cancer patients. Data revealed that adherence and persistence for this adjuvant therapy was low. Among patients and physicians, the lack of visible and short-term benefits did not inspire urgency or commitment to the therapy. In short, the product’s benefit was aligned to prevention, and customers had a difficult time quantifying or experiencing the benefit of a fracture event that did not occur. Our client was therefore interested in identifying opportunities to drive medication adherence, compliance, and persistence among patients. Our challenge was to help patients and healthcare practitioners realize the intangible benefits of this adjuvant therapy. We spoke with healthcare professionals to map out the treatment experience, identifying key opportunities for supporting adherence. Our research showed that improved patient communication at the point of the initial treatment decision helped drive patient adherence through later stages of treatment. When patients understood early on how the product worked, they were more committed to their therapy over time. In a workshop that followed, we led the client team to collaboratively build tactics focused on this key moment, developing concepts to better support physicians in educating and setting treatment expectations with their patients. Additional monitoring tools helped patients feel more confident throughout therapy, while other tactics aimed to re-enroll patients who may have decided to pause therapy. Many patients face obstacles to accessing care, whether physical, financial, or social in nature. Once presented with these barriers, people often delay seeking care by ignoring or enduring important early signs and symptoms of illness. Often, by the time help is sought out, their condition has progressed to the point where the cost of treatment is significantly higher than it would have otherwise been, had the issue been addressed earlier. In other cases, systems and processes that are out-of-date or incompatible with each other can have a negative impact on the timeliness and reliability of care. Throughout the healthcare system, there are many opportunities to apply a human-centered approach in order to reduce clinic workload, improve the exchange of information, and reduce the severity of consequences associated with human error. Such initiatives can ultimately improve the patient’s experience, the reliability and accuracy of their care, and their ability to receive therapy in a timely manner. Where early pipeline drug development is concerned, pharmaceutical organizations may consider streamlining the clinical trial enrollment process. Helping physicians and their patients search and understand clinical trial databases can increase opportunities for patients to participate in suitable trials that they may not have otherwise known to be an option. Likewise, improving the trial enrollment process itself can lessen the confusion experienced by patients, support informed consent, and lead to reduced attrition in trials. Genentech is currently revisiting the traditional investigator-centric model of patient enrollment in clinical trials. Traditionally, pharmaceutical organizations identify a study trial site and then recruit patients from there. Now, however, Genentech is adopting a more patient-centric approach, using non-traditional recruitment channels to locate clinical trial candidates first. This process reversal has the potential to impact the ease with which patients are enrolled, the demographic diversity of patient recruits, and patients’ overall ability to access care through clinical trials. In this new paradigm, the patient is located through their healthcare network’s digital platforms (channels such as Facebook, LinkedIn, and Twitter). Patients who express interest and engage their local physicians become trial candidates, and Genentech then works with the local healthcare system to complete the trial site approval process. The trial is then centrally overseen by a principal investigator (PI). Genentech is currently using this approach as part of their Patient-centric Innovative Vision Home Testing (PIVOT) study. In addition to the traditional investigator-led recruitment approach, Genentech is leveraging digital media channels to reach study candidates. While it is acknowledged that in many disease states physicians prefer to monitor patients within their own clinical setting, of the ophthalmologists surveyed, the vast majority supported this patients-first approach. The information age has catalyzed demand for greater transparency in business. Customers, investors, and employees now know more about what businesses do in front of and behind the curtain. Does the company have an effective patient-centered strategy? What is the quality of the information that the company provides to patients? What is the company’s record on patient safety? How useful are the company’s products to patients? How transparent is the company with external stakeholders? Does the company act with integrity? How effective is the company’s relationship with patient groups? 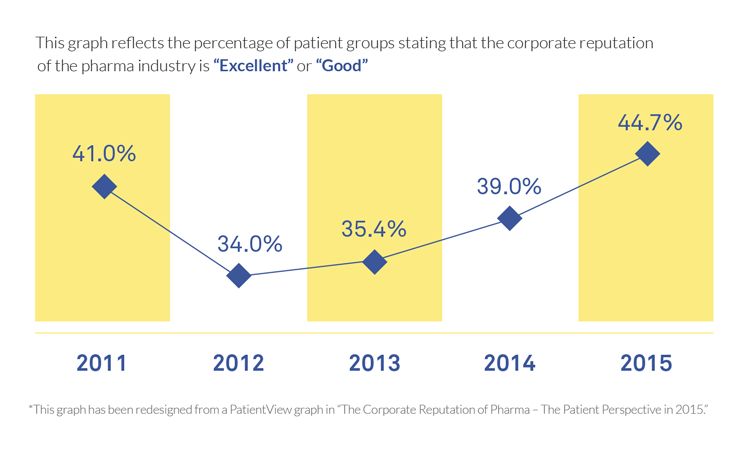 It is widely known that corporate reputation is an Achilles heel for pharmaceutical companies; however, the PatientView study results published in March 2016 report an increase in the reputation of the global pharma industry, from 34% positive in 2012 to 45% positive in 2015. Multiple sources attribute this improvement in reputation to advancements in product and service innovation, and an overall improvement in patient safety. Although we should celebrate these recent accomplishments, ongoing negative media coverage of controversial drug pricing, and a lack of transparency in reporting negative clinical trial outcomes, amongst other things, only reiterate the fact that the industry has a long way to go. Other studies note that pharmaceutical industry customers have seen little to no progress made in patient centricity or transparency. And yet it is these values that have been identified as core drivers of reputation among this audience; they are values that ultimately influence treatment decision-making for patients and prescribers. Although issues around drug pricing are ongoing, there are a number of incremental approaches that a pharmaceutical company can take to improve their relationship and reputation with customers. A good place to start is by thinking outside of the box when developing a strategy to engage with customers. The ubiquitous direct-to-consumer (DTC) advertising is decreasingly effective and is no longer resonating with the majority of consumers. Instead, addressing the specific healthcare needs and barriers faced by customers can provide companies with greater credibility which will ultimately improve their reputation, resulting in increased sales and revenue. Unsurprisingly, patient outcomes are very closely tied to the patient’s level of engagement and agency in their own care. In today’s clinic, healthcare providers are required to ensure that their patients are appropriately informed and consented. Physicians and their patients are communicating differently than they have in the past. Concordance — a process of negotiation and shared decision-making between clinician and patient concerning treatment regimens, outcomes, and behaviours — is profoundly shaping the relationship between providers and their patients. While such models are embraced and encouraged by most professionals, in reality, patients’ low knowledge retention at the time of diagnosis and their overall health literacy makes it challenging to practice consistently. Of course, many pharmaceutical companies, support groups, and advocacy organizations dedicate a significant amount of time to patient education and support. Applying a human-centered lens to the development of educational resources within the community provides alternate communication channels for patients, reducing the time required by practitioners to address the needs of the patient. Similarly, nurses, pharmacists, and other professionals within a patient’s healthcare team often have the expertise to answer questions and educate patients on their treatment. Developing tools and resources in support of these stakeholders can help them to be more efficient in their roles. There are many points along the patient journey that can be incredibly stressful and anxiety-inducing for both patients and their families. Deciding on a treatment is indeed one of those experiences. During this time, patients may feel overwhelmed and confused by the amount of information presented to them. They may struggle to know what questions to ask, let alone fully comprehend the implications that surround their decision. If the interactions during the diagnosis and decision-making process are not handled with care, it can make the patient-physician relationship vulnerable to mistrust and distress, negatively defining the dynamic going forward. In some cases, patients who experience unanticipated events or outcomes may reflect back on their treatment decision with regret. Adopting a human-centered approach promotes the sourcing of appropriate, unbiased, and accurate information for patients. Providing patients with such information can help them to better understand their care pathway, and improve the quality of communication between patient and physician. In turn, this helps patients and caregivers feel a sense of agency and involvement in their care. Every day, thousands of prostate cancer patients are asked to choose between therapies. Overwhelmed by emotion, they are presented with a range of treatment options, most of which have very similar clinical outcomes, but very different short and long-term side effects and treatment protocols. Not surprisingly, this makes it difficult for physicians and patients to have productive conversations surrounding treatment options. 2 — Compare relevant treatment options to determine which best aligns to their needs and expectations. Therachoice’s dynamic interface and data visualizations help patients prioritize and understand treatments so they don’t get lost in a tidal wave of information. We believe that this tool and content can significantly improve the prostate cancer patient experience. As new, innovative therapies are brought to market, it is critical that patients and physicians are equipped with the knowledge and tools to manage adverse events associated with these unfamiliar therapies. Self-monitoring and risk management are among the many factors healthcare practitioners consider when selecting an appropriate therapy for a patient. Healthcare practitioners consider not just a patient’s physical profile, but their emotional stability when weighing treatment options. An individual’s mental and emotional capacities to manage side effects are just as important as their physical capacity to manage possible adverse events. Pharmaceutical companies adopting a human-centered approach are looking beyond the molecule to generate value for patients and prescribing physicians by providing product support services. 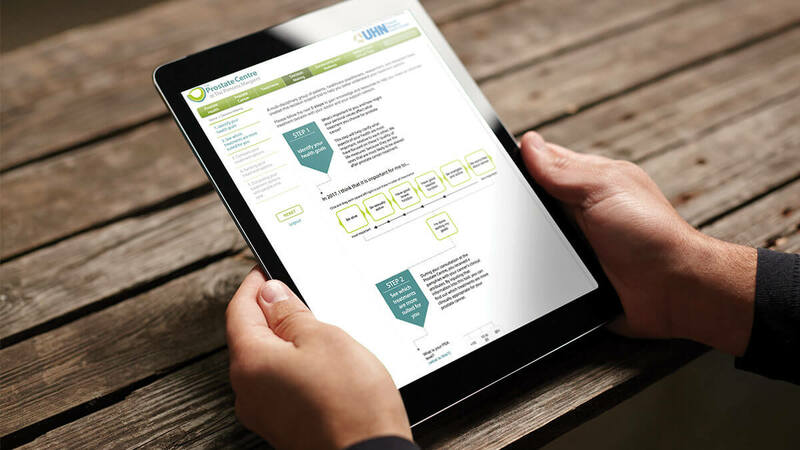 This approach considers the end-to-end experience of onboarding and sustaining a patient onto a new therapy to ensure that they are set up for success.